Still basking in the glory of his success at Chatsworth Horse Trials, Corey had a few quiet days but then I could wait no longer. 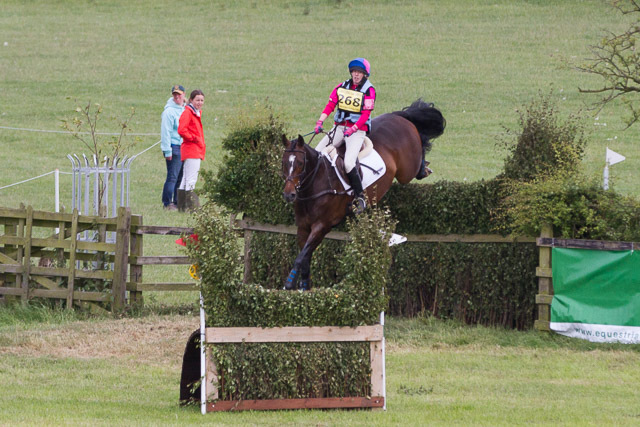 I had deliberately not jumped him before Chatsworth, in order to sustain the partnership Nicki had with him, but it was time to have a pop and he didn’t disappoint. Mum and I both agreed that the main aim was to focus on my riding and try to sit quiet; we were aiming for a couple of easy runs for me to get back into the swing of competing so there was no pressure on Corey. Nicki had shown us how much he could be trusted and I’d had a long enough break that I should be able to shake the old bad habits. There was a satirical piece on social media recently that the FEI would soon ban women from having children because it clearly gave them a massive advantage, and whilst I’m no Jonelle Price, I do find I’m doing better than expected. I’m not saying there isn’t a lot to work on still, but I am really encouraged by what I’m achieving. The first place we put this into practice in earnest was at Berriewood, in the 100+ class. A bad traffic accident delayed us significantly and my dressage warm up was cut short, but I stuck to my plan of just trying to keep him calm throughout. It wasn’t world beating but it was solid enough. Similarly, despite mistiming my show jumping warm up and not even knowing the full course as I entered the ring, I threw caution to the wind and didn’t hook or drive once. We kept a lovely steady rhythm and Corey kept the poles up. We added time penalties but that just confirmed that we’d not been rushing round. The cross country was causing a few issues but again I set off with the intention of just having a steady and confident round. I had a huge smile on my face as I cantered along, grateful for having such a fab horse and a fantastic support team to help me ride. We picked up time penalties again but jumped a very confident clear. It felt SO good. After a quick show jump at Cheshire Show, where we continued to jump calmly and with trust, our next outing was to Skipton for the novice. This has been a good event for us in the past – it was the last place I’d run on him before I got pregnant with Art and the scene of my best ever novice result. It wasn’t my best day out, but it was a great set of lessons for me. For no obvious reason, I was late to get on again and had a short warm up for the dressage, plus Corey was a bit wired, so it was a very different test to the one at Berriewood. I trotted over to the arena conscious that I needed to try and keep a lid on his exuberance, and promptly turned the wrong way off the centre line! We did a reasonable test and luckily had one of those judges that likes to give away 8s, so scored high for 11th place. In the show jumping warm up I struggled to get the canter I wanted, and in hindsight I think we had the wrong studs in, because once in the arena, we slipped badly on a very tight turn between fences two and three. I made the decision not to ask Corey to jump from such an unbalanced stride, then picked up a further 8 penalties for knockdowns. I should probably have kicked on to the third and trusted that he could pick up, but I was otherwise relatively good and didn’t panic despite that early hiccup. 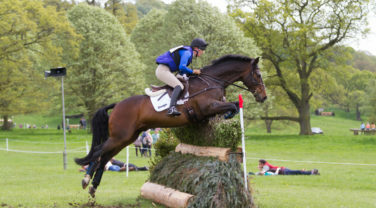 For the cross country, I had every intention of going steady and keeping a calm pace like Berriewood, and like Skipton last year, but Corey went out the start box with different ideas. I managed to keep him reasonably steady but he was pulling and loving it all the way round. Other than a sticky moment when we edged so low and slow over the brush drop into water that my toe went through the hedge, it was a fantastic clear. I was absolutely pooped, so I clearly need to work on my own fitness again, but it was the sort of tiredness that comes with a great feeling of satisfaction too. Corey is now having a little rest (well timed since this heat is unbearable!!!) and I’m going to take Art to meet the family in a hopefully slightly cooler Finland. We have a couple of runs lined up for Nicki to have a bit more fun with him, then provided I can get fit enough but also rested enough in between feeding Art every five seconds (he’s a boy, what can I say), I will take over again for the end of the season. One last thought. Just before the cross country at Skipton, I’d questioned the wisdom of running. I felt like I wasn’t riding as well as I wanted, like the day wasn’t going to plan, and I didn’t want to make a mistake I would later regret. I was thinking of Jonty and the implications for my family. Mum pointed out that mistakes can happen on the best of days and also commented that she didn’t think the day was going that badly. Al gave me a hug and told me to go do what we’d driven all the way to Skipton to do. 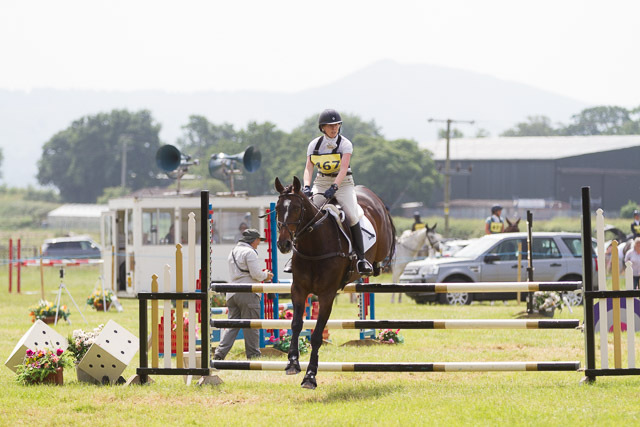 It’s easy to look back and think it was the right decision to ride because I didn’t fall, but actually it was Sam Watson’s words later that weekend that reassured me most; “Jonty, while you sleep, I have learned two things from you. The first; in this sport you never know when you won’t get up. The second; you live once, you have to try. You may fail, you may succeed. Others might snigger at your optimism or laugh at your defeats, but YOU have to live with the burden of not trying.” I know we’re all thinking of Jonty and I’m hoping one day I get to meet him and tell him how much he has inspired me to keep enjoying this sport. Get well soon Jonty. Well, two of my three countdowns from early March went relatively according to plan, but the third had a few false starts before we finally kicked off the 2018 season. However, it was a start to the season worth waiting for!